Shri Bhramma is unhappy with Yamraj and his assistant, Chitragupt, as they have misplaced a book or prophecy called "Bhavishya Vani", and asks them to go down to Earth and find the book within 30 days or else they will lose their status in heaven and will be forced to live as mortals on Earth. The two descend to Earth, and find out that the book is in the possession of a man named Suraj, who is unwilling to give up the book as he has read the prophecy about his mother's dying. This refusal is catastrophic as Yamraj cannot plan anyone's death, and no one will be permitted to die unless and until the book comes in his possession. At the same time there is an evil man named Chota Ravan who is trying to possess the book in order to spread his control over Bombay. Regions are unavailable for this movie. 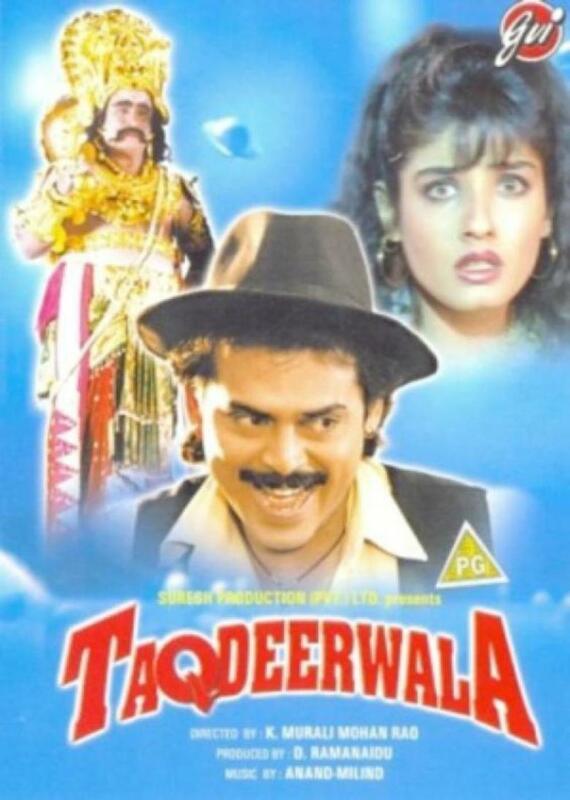 Click the "Watch on Netflix" button to find out if Taqdeerwala is playing in your country.